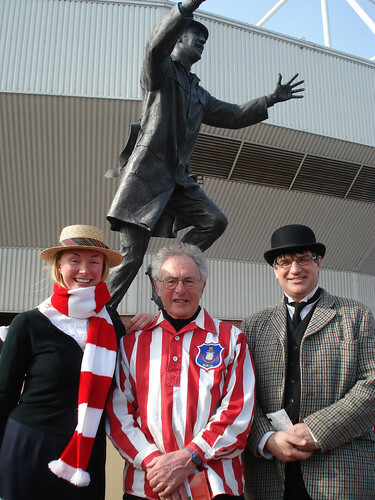 Beamish Museum's Learning and Access team have been working in partnership with Sunderland AFC Foundation to provide schools and local residents in Sunderland North fantastic opportunities to explore and celebrate the area’s distinct local history. On 24th March, local people shared their memories of mining, shipbuilding, leisure time, holidays, football and home life. And if you saw some people in unusual attire at the 3-1 victory over QPR last Saturday at the Stadium of Light, that was us! We went along to cheer the lads on with pupils from local schools who have been learning all about their heritage for the project. http://www.beamish.org.uk/haway-the-lads!-beamish-goes-to-sunderland-north/" >Click here to find out more.